A Detroit-area father of three went up north for a fishing trip with his buddies. Days later, he was found fatally shot in his rental cabin. 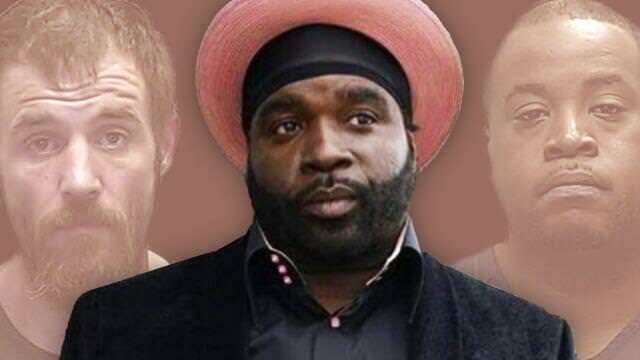 The family of Brodrick "Brock" Ward claims his murder was racially motivated, and that the 42-year-old dad phoned them asking for a ride home because Ward's friend supposedly warned him to hide if his "racist" pals came over. But police say Ward's death was no hate crime. Instead, authorities believe the rubout was drug related, the Detroit Free Press reported. The Kalkaska County Sheriff's Office was called to the cabin on Gonyer Road in Springfield Township around 5 p.m. on Nov. 21. Ward was found dead of a gunshot wound to the chest, and soon after, one suspect was arrested. Authorities didn't release the name of the suspect, but described him as "a 36 year old black male from Wisconsin." "The community is not at risk as there are no suspects at large," a press release by the sheriff's office stated. "The incident is drug related and the parties involved are believed to be known to each other." On Monday, Sheriff Patrick Whiteford announced the arraignments of two suspects: Terrance Jordan of Traverse City and Jason Morgan of Kingsley. Both are charged with open murder and armed robbery, and they're being held on $10 million bail, Whiteford said. In an email, Whiteford told The Daily Beast that prosecutors authorized charges on two suspects but there are additional persons of interest. Whiteford said Jordan was the Wisconsin-born suspect. "We have no evidence that this was a racially motivated crime," Whiteford said. "It is unfortunate that unsubstantiated comments come from the family or the public that is only speculative as to the motive of the homicide." Ward lived in Inkster, about 20 miles west of Detroit, and was far from home when he was shot and killed at the cabin. His brother, Samuel, says he described being uncomfortable in northern Michigan when he called on Nov. 17. Ward allegedly told Samuel that one resident questioned why a black man from Inkster was in Kalkaska County, the Free Press reported. "You never heard of Kalkaska? There are three Ks in Kalkaska for a reason," a stranger allegedly told Brodrick Ward, referencing the Ku Klux Klan.